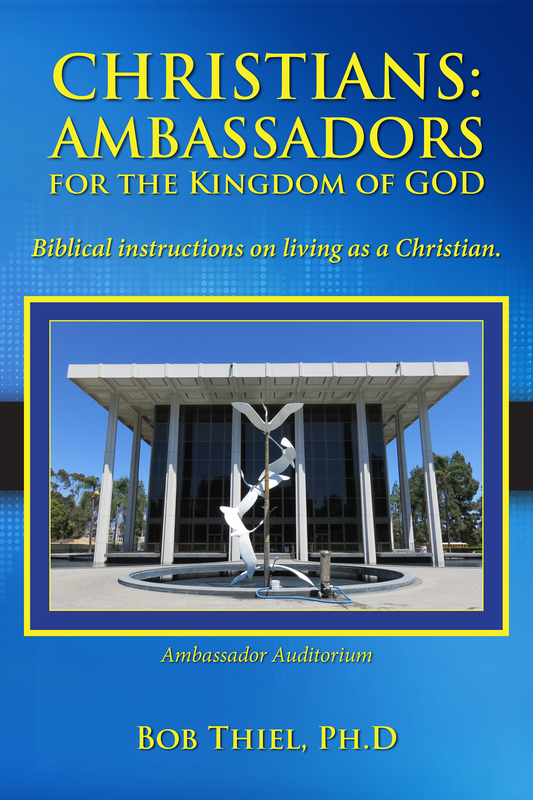 This year, we produced a booklet titled: Christians: Ambassadors for the Kingdom of God, Biblical instructions on living as a Christian. Do you know that Christians are supposed to be Ambassadors for the Kingdom of God? Do you know how a Christian is really supposed to live? This book is filled with many scriptures in order that the sincere may better learn how God wants His people to live. A way very different than that lived by most who claim Christianity. But as Christians we are not temporary, we are to be permanent representatives of God, His government, and His kingdom. Christians are part of a royal priesthood and a holy nation. They were not a recognized people, like other nations, but now are essentially ambassadors for the coming Kingdom of God. While most people today suppose that the true CHURCH was rapidly to grow BIG, to become a powerful organization, exerting powerful influence on the world, making this a better world, becoming the stabilizing influence of the world’s civilization, actually Christ founded His Church for no such purpose! In His final prayer for His ONE Church, Jesus prayed: “I pray for them: I pray not for the world … Holy Father, keep through thine own name those whom thou hast given me, that they may be ONE, as we are. … I have given them thy word; and the world hateth them, because they are not OF the world, even as I am not OF the world. I pray not that thou shouldest take them out of the world, but that thou shouldest keep them from the evil. They are not OF the world, even as I am not OF the world” (John 17:9-16 KJV). Christians live on this earth as representatives of that kingdom, obeying human governmental authority. When there is a conflict with the higher laws of God, Christians obey God (Acts 5:29), sometimes suffering for it (1 Peter 4:15-16), but they are not taking part in its politics. It should be no surprise that those who still hold to original Christianity are often spoken against these days—including by accusers of the brethren (Revelation 12:10) on the Internet. Anyway, to learn more about Christian living, check out our free online book: Christians: Ambassadors for the Kingdom of God, Biblical instructions on living as a Christian. This entry was posted on Friday, December 14th, 2018 at 4:00 pm	and is filed under COG News, Doctrine.